Public pension systems nationwide are facing record levels of debt, totaling $1.4 trillion, according to a recent Pew Charitable Trusts study. That puts downward pressure on wages and benefit checks as governments struggle to close the funding gap. 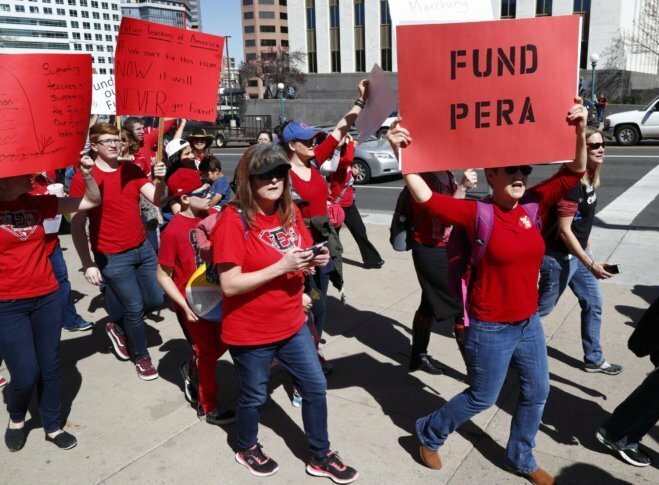 DENVER (AP) — The loudest rallying cries from Colorado teachers protesting for more education dollars were about dwindling paychecks that are steadily losing ground to the state’s rising cost of living.